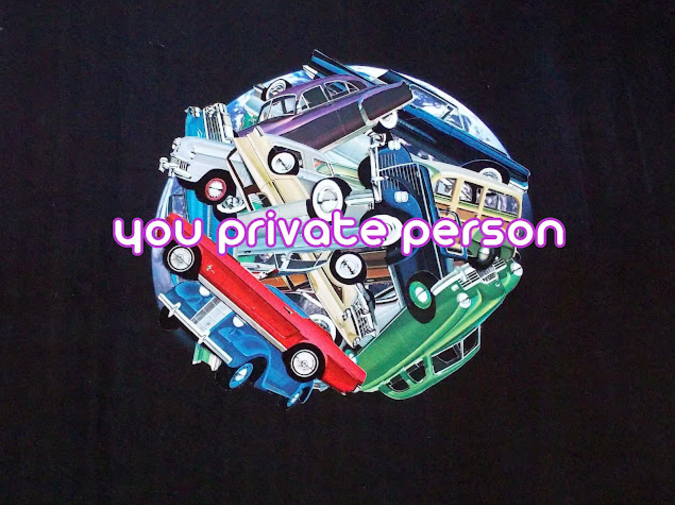 Out this month is You Private Person, a book of short stories by (now) Seattle writer Richard Chiem. And it’s good. Very good. Richard’s stories are as generous as he is. They are the quiet, electric moment between the lightning flash and the thunder rumble. And they have the same odd light. I asked Richard a little about his writing. Do you have any feelings about being referred to as the Wong Kar-wai of prose by Stephen Tully Dierks? Do you like Wong Kar-wai? Do you think the association is an apt one? I really like Wong Kar-Wai. In The Mood Of Love and Happy Together especially. I haven't been really watching his movies much recently, but I like the actors he works with too. I wrote a story that mentions Leslie Cheung, who took his life in 2003 by jumping from his hotel window. He was one of my favorite actors. He was also a huge pop star, which added this weird element to his death and his acting. He was a person of many worlds and complex obligations. That's sweet of Stephen to make the comparison. That seems really cool. I think it makes sense too, because most of my stories are usually love stories. But I don't think it's a perfect comparison. I am a fan of Christopher Doyle's and Wong Kar-Wai's work together, but I kind of like darker directors: Kelly Reichardt, David Cronenberg, and Kubrick, mainly because they work or have worked in a lot of different genres but remain themselves. I want to try to approach writing in the same fashion and try different settings, however weird or terrifying or mundane, to make a narrative work. I've watched Dogtooth a few dozen times in the past couple of years too because the world there is so mesmerizing, so detailed in its storytelling it's almost isolating, and I think there is a lot to learn from watching. I really like mumblecore right now too. My favorite mumblecore movie right now is actually Mumblecore by Megan Boyle and Tao Lin. I think they made something really beautiful together because it was raw and honest. It's really its own monster. I want my stories to be their own monsters. I was also thinking that a lot of your characters react in understated ways, or the way you describe them frames them in an understated way, but at the same time, they have a real concern with the quality of light and the feeling of temperature within them. Like the stories are quiet but really bright. You seem introspective. When we talk, you seem to pay a lot of attention. I feel like you are cataloging a lot of things. Are you? Yes, I think I am cataloging things but not for stories. I think I'm just trying to be a good listener. When someone engages with me, I want them to realize that I am listening and they have me. My characters are usually the same, meaning they are there to be present, even when they are severely depressed, despondent or distracted. But they are alive and trying and ultimately a part of the world. They live in a place like ours where there are a lot of things to survive, with boredom and apathy being just a few of those things. I have always been a quiet person, absorbing different conversations as they happen and making silent adjustments, watching the scene. I have always had the same impulse of listening before saying a word. I do feel very ambitious, because my goals are to be happy and to somehow be good at what I do. For a while, I was obsessed with famous suicides and writers and musicians who had killed themselves. I wanted to know what happened to them to make them do that. I came to a realization a few years ago that I will always be writing. That would be my one constant. There were a few truths that I needed to know and practice for everything to turn out how I would envision, especially in a long vibrant life. I would absorb everything that I wanted to absorb, and use what I learned as I go, at a pace I would invent. Read and write every day and think carefully. Be a good person. Romanticize every hardship, perceiving them as other cells you have to absorb in order to get to the other side. I would like to play in "the game," if there is one to play but right now the focus is simply to write, which is simple but not easy. It takes every day.